It’s the only grill you’ll ever need. 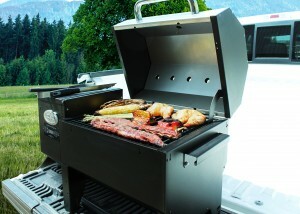 A timeless classic, this cook everything grill is known for its heavy-duty construction and cooking versatility. 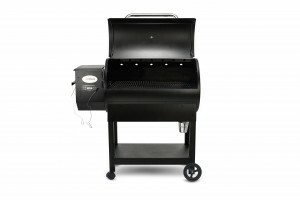 Featuring a low-maintenance “Set It and Forget It” cooking style, the CS 450 has both indirect and direct flame cooking options with a standard flame broiler. 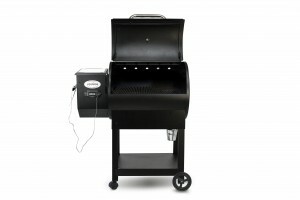 729-total square inches of cooking surface means you can entertain your guests with this grill’s 45-burger capacity! Sturdy construction is clear with a high temp powder coat finish, heavy-duty 14-gauge steel construction, and heavy-duty casters and wheels. Both the main cooking rack and optional upper cooking rack are constructed of porcelain-coated steel for added protection. 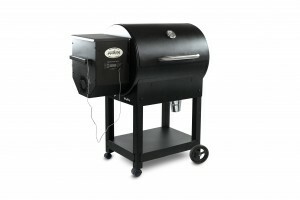 Additional features include a full stainless steel burn grate, solid bottom shelf, dome thermometer with bezel and large stainless steel stay cool vented handle. 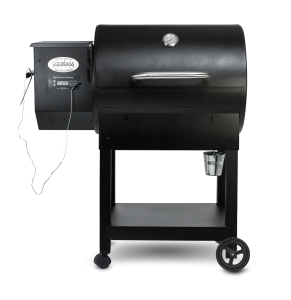 The CS 450 uses 100% all-natural hardwood pellets and provides fan-forced convection cooking, a proprietary exhaust system for even smoking and automatic start up and cool down technology. The larger version of our timeless classic (the CS 450), the CS 570 is the perfect size for big families and gatherings. 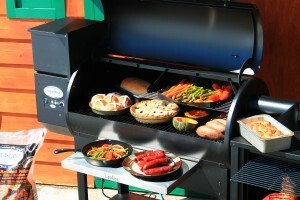 This large capacity, cook everything grill is known for its heavy-duty construction and cooking versatility. 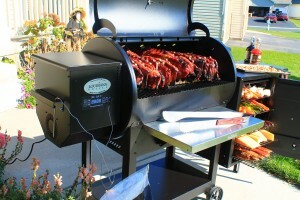 The CS 570 includes a full-function programmable meat probe and an oven board digital control center. Featuring a low-maintenance “Set It and Forget It” cooking style, the CS 570 has both indirect and direct flame cooking options with a standard flame broiler. 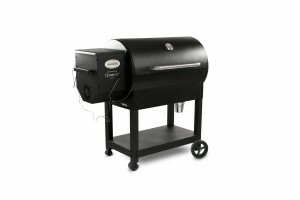 865-total square inches of cooking surface means you can entertain your guests with this grill’s 54-burger capacity. 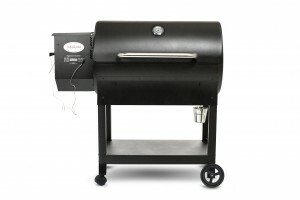 The CS 570 uses 100% all-natural hardwood pellets and provides fan-forced convection cooking, a proprietary exhaust system for even smoking and automatic start up and cool down technology.